And the Guidebook “30 Days of Tips to Stop Your Bitching…naturally!” will be available in print mid-October 2013! end the cycle of bitching when you follow the easy steps everyday. on this program. Super simple, 30 Days of Tips will change your life. Did you hear? A really important consumer update from the FDA was released this month concerning the dangers of taking acetominophen. All of us take pain-relievers from time to time, but did you know that one of the most widely used medicines in the U.S. can cause a rare but serious skin reaction? Acetominophen (Tylenol) can cause 3 serious skin diseases whose symptoms are a rash, blisters, and permanent damage to the skin. If you develop a rash or other skin reaction, or have in the past while taking this drug, stop using it and seek medical attention right away. There is no way to know who will be at risk for these potentially fatal reactions. Acupuncture and Chinese Herbs have a long history of helping people with pain. Check here if you use any products containing Tylenol (i.e. Midol) for menstrual cramps and period pain. There are alternatives! "What you may not realize is that more than 600 medications, both prescription and over-the-counter (OTC), contain the active ingredient acetaminophen to help relieve pain and reduce fever. Taken carefully and correctly, these medicines can be safe and effective. But taking too much acetaminophen can lead to severe liver damage." If you are taking a OTC pain reliever like Midol, Tylenol, Premsyn PMS (a brand name of acetaminophen) for menstrual cramps for several days every month then consider other options for your pain. Period pain is often times one of the main reasons young women take OTC pain relievers and they often not understanding the risks. Doubling up on acetaminophen by taking a cold and flu product or drinking alcohol while taking this OTC pain killer can cause serious liver damage. If you have unrelenting menstrual cramps and period pain each and every month. Run, don't walk to this link and the book, "Stop Your Bitching…naturally! A Step By Step Guide to Balance Your Hormones and End PMS & Menstrual Cramps". You'll have all the answers you need to get off the liver damaging pain killers like acetaminophen. This interview will give you some insight into the book "Stop Your Bitching…naturally" The Step By Step Guide to Balancing Your Hormones and Ending PMS & Menstrual Cramps. 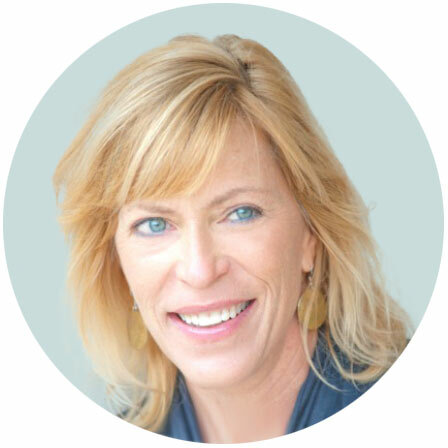 Evita at Healthytarian.com did a super informative interview with Cathy which covers a great overview of the book. Hope you enjoy it. Please don't be one of the thousands of women who are being injured by Yaz or Yasmin birth control pills. Thousand of women have filed a lawsuit against Bayer, saying they were injuried, but this doesn't change the fact that many are scarred for life. After a stroke, many women never regain complete use of their arms and legs as before. Many are under age 35 and will live the rest of their lives in bodies that can't run, walk up stairs or even have the use of an arm or hand. Reconsider your options for birth control and learn about safer ways to handle menstrual cramps and PMS. There are many good options beyond the pill. 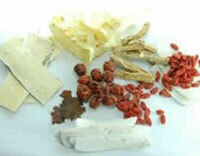 PMS symtoms can be addressed with natural remedies and menstrual cramps are managable with Chinese herbs. I thought birth control pills were the answer once… before I studied Chinese medicine. Then I learned how to put the body back into balance with herbs and diet I realized how much better I could feel without using a drug. You can do it too. PMS Relief Herb Pack will change the way you feel about your monthly periods and your body with thank you. BPA’s and PMS, Is there A Connection? Does Japan know something we don't, about BPA's in paper receipts and in aluminum cans? Why did Japan phase out BPA use over 10 years ago? BPA's, also known as Bisphenol A, are chemicals that act like estrogen and can cause hormonal imbalances, PMS, irregular menstrual cycles and they have been linked to problems with reproduction and sexual development. Even behavioral and developmental problems in young children and some kinds of cancer have been linked to BPA exposure. Should you care about cash register receipts? YES! This is another easy way to avoid excess exposure to BPA's. If you don't need the receipt don't touch it. Also always wash your hands before eating just in case you've been exposed to BPA's which can be found in many paper products, including toilet paper, tickets, food wrappers, newspapers and napkins. If you are a woman constantly having mood swings, PMS, menstrual cramps and menstrual irregularities consider the paper you touch everyday and if you don't need it, don't touch it. Sometimes it is the small things in life that can make a big difference in our health. Be Well. Sources: Kannan, K. Environmental Science and Technology, Sept. 23, 2011. Teens Use The Pill For Cramps and Acne? The results of a study by the Guttmacher Institute were just released. It tells an interesting story about why American teenage girls are choosing birth control pills for noncontraceptive reasons. The study points out that little data has been gathered previously on the use of oral contraception for purposes beyond that of preventing pregnancy. The federally funded survey done from 2006-2008 titled the "National Survey of Family Growth" examined the reasons why women and teens are using the pill for noncontraceptive reasons. The Guttmacher Institute estimated from this survey that 1.5 million women in the U.S. are using oral contraception for noncontraceptive purposes. This includes reasons such as acne, primary dysmenorrhea, prevention of migraines, fibroids, excessive pelvic pain, bleeding and other "side effects" of menstruation. The Guttmacher institute says "The reliance on birth control pills for noncontraceptive reasons is highest among pill users who are teenagers. In fact, teens are more likely to report using the pill for noncontraceptive purposes than for birth control: Some 82% of 15-19 year-olds who use OCPs say they do so for non-contraceptive reasons".6 The three most common reasons are: menstrual pain, menstrual regulation and acne. The survey did not ask about other hormonal methods of contraception ie. the ring, patch, implant or IUD. The data was gathered using in-person interviews with 7356 women aged 15-44. "I wish I had known, I never would have taken the pill if I knew this could happen." Do these teenagers know about BRCA 1 and BRCA 2 genes? Are teens getting checked to see whether they carry this gene mutation? This mutation gives a woman "a 36-52 percent risk of developing breast cancer by age 70"3. Personally, I would want this information to make my choice about oral contraception an informed one. I want to know about any drug that can possibly cause cancer cell growth, especially if I have a gene that puts me at a higher risk for cancer. What do you think? Do the teenagers possess this information and are they making informed choices about their health? Is all the information available to them and are the facts presented properly? Drugs have serious ramifications and not all are immediately evident. Teens choosing oral contraception for menstrual cramps and acne is a personal choice that requires some serious study. Women have more choices today than ever before. Choices have ramifications and choices about our health and drug use are no exception. Freedom of choice is a wonderful thing and I support it 100%. I believe choices should be made after carefully weighing benefits and risks. Due diligence is especially important when the choice could involve serious health consequences. The title of this article may sound contradictory. First, many would ask how can fat be healthy and second, how can fats help with period pain? Let me explain. The french cook with this healthy fat in nearly every dish. It has been around since man began domesticating animals. Eating this fat helps with the absorption of many other nutrients and it's' an even better choice than olive oil or other refined oils. Would you believe it's butter!! Yes, butter is good for you. Don't take my word for it. Check out what Weston A. Price Foundation and Google Rudolph Ballentine MD who studied the antiviral and anti-cancer properties in "clarified" (milk solids removed) butter. This is simple to do by boiling off the butters foam. Dr. Ballentine knew about this healthy alternative decades ago. It's the butyric acid, a fatty acid that provides the natural PMS, menstrual cramp relief and other healthy benefits. It works like this. Butter provides both short and medium-chain fatty acids molecules that are body depends upon for proper immune function and intestinal health. Fatty acids cannot be synthesized in our bodies and yet we rely on them for many normal functions, including normal growth and development. Butter contains the perfect balance of the fatty acids omega-3 and omega-6 fats both which regulate prostaglandin balance, which in the process helps regulate menstrual cycles, PMS, uterine cramps and normal reproductive health. Have you ever had a stomach ache at the onset of your menstrual cycle? Butter is beneficial for PMS bloating and digestive pains. This makes perfect sense in Traditional Chinese Medicine, (TCM) because butter increases digestive fire. This means is it helps improve the assimilation or digestibility of other foods. Butter contains glycospingolipids a category of fatty acids that protect against gastrointestinal infections. Go back to good ole' fashioned butter. Butter is a healthy fat and a little each day is a great food addition and a perfect way to help keep PMS and monthly period pains under control. To make clarified butter heat two pounds of sweet (unsalted) organic butter in a saucepan until it boils. Maintain a rolling boil and scrape the foam off the top . If the butter begins to sound like it's frying temperature, with crackling noises, quickly remove from heat. Finish skimming and pour the butter into a glass or pottery storage container. Do not use plastic. The sediment in the bottom of the pan are milk solids and can be used in other food prep. This makes approximately one pound of clarified butter.